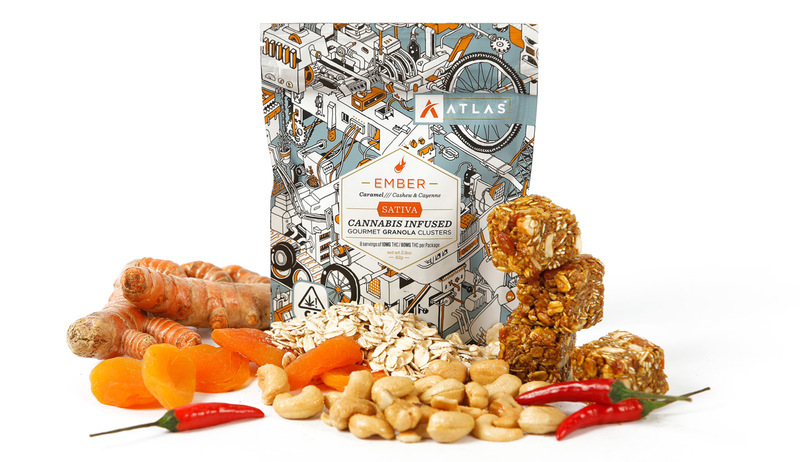 Caramel flavor, with a hint of heat from the cayenne, crunch from toasted cashews and tart finish with dried California apricots. Oats, Cashews, Honey, Brown Sugar, Coconut Cream (Coconut, Water, Guar Gum), Sorghum, Apricots, Cannabis Infused Coconut Oil, Natural Flavor, Gum Arabic, Salt, Turmeric, Cayenne Pepper. TREE NUTS (ALMONDS) AND SEEDS (POPPY). 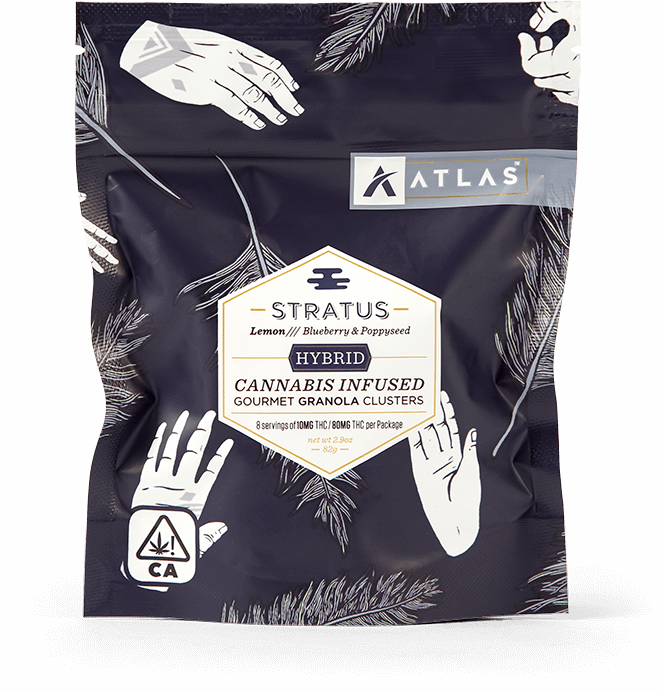 MANUFACTURED IN A FACILITY THAT PROCESSES: Soy, Wheat, Tree Nuts and Seeds. This flavor is associated with alertness, functionality and creativity. 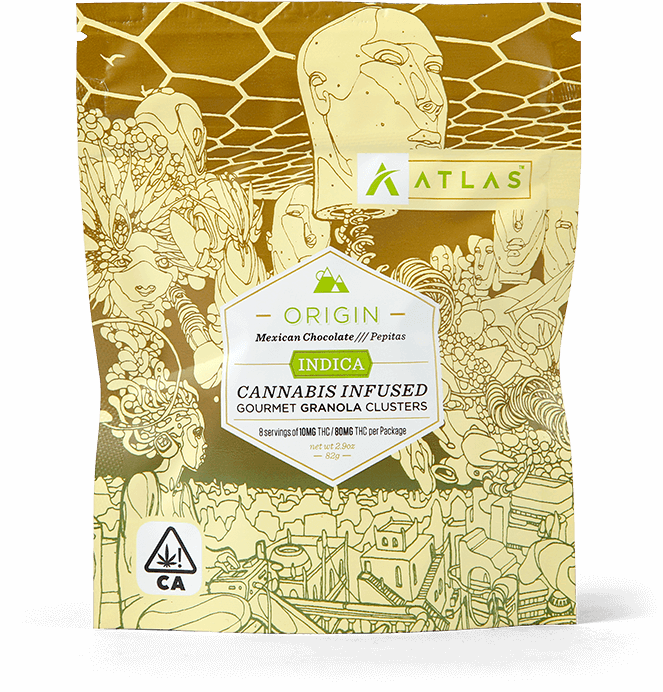 This product utilizes sativa dominant strains to give an elevating experience. 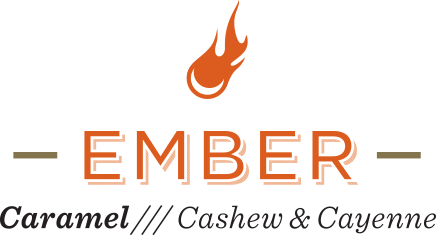 The other ingredients and spices in Ember are used to compliment the effects of the sativa strains in order to promote a more focused, meaningful and well-rounded experience. 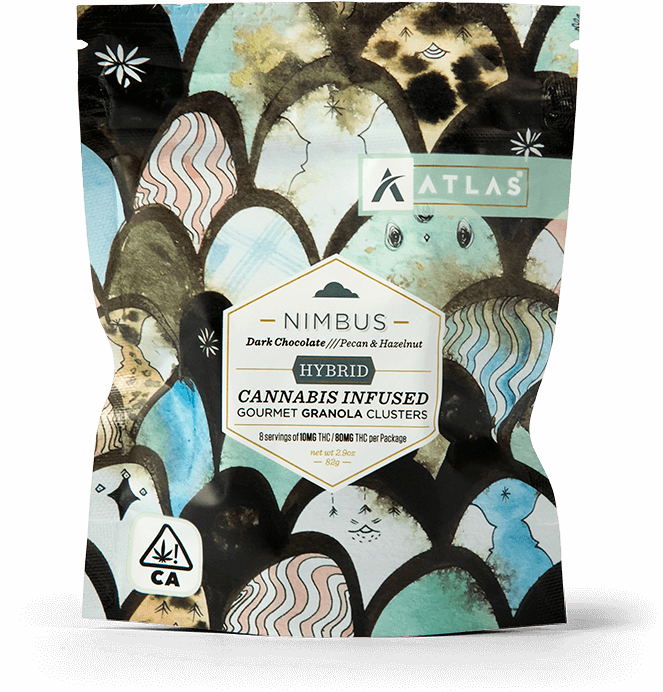 These products will be more energy driven, with a more functional, mindful high. You just can’t look away once you’ve seen one of Nigel Sussman’s isometric mural illustrations. The detail is all done with a lighthearted sense of humor that keeps you looking, and smiling. Nigel has worked for a range of companies, from large, innovative brands like Google, eBay and Redbull, to smaller start-ups, and projects that include large scale murals to more traditional print projects for well-known publications. Bold, bright and complex, Nigel’s signature style uses isometric line art and a striking but simple color palette, creating seek-and-find type drawings, as well as illustrations that feature complex fantasy architecture and/or imaginary machines. There’s all kinds of activity going on in Nigel’s work and it’s no surprise to find that his influences include Martin Handford (creator of Where’s Waldo? ), MC Escher and the original SimCity computer games. At home in Berkeley, California, he lives with his wife, Yasemin, his son, Luka, and cat, Fidel Catstro.